How does one go about describing the Sultans of Sprint? 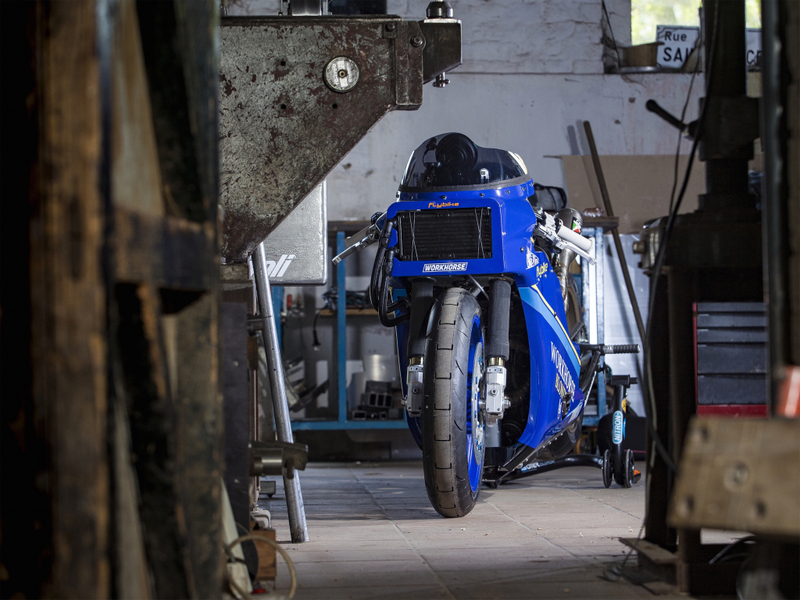 To summarise, it’s a collection of the coolest custom bike garages in Europe, each creating a one-off build that goes really f*cking fast in a straight line. Awards are also dished out for best design, best bodywork, best burnout, creativity and craziness, while the parties at the numerous events are legendary. Our friends over at Young Guns Speed Shop have previously dominated the competition, but this year, Yamaha wants to muscle in on the action with a staggering XSR700 build. 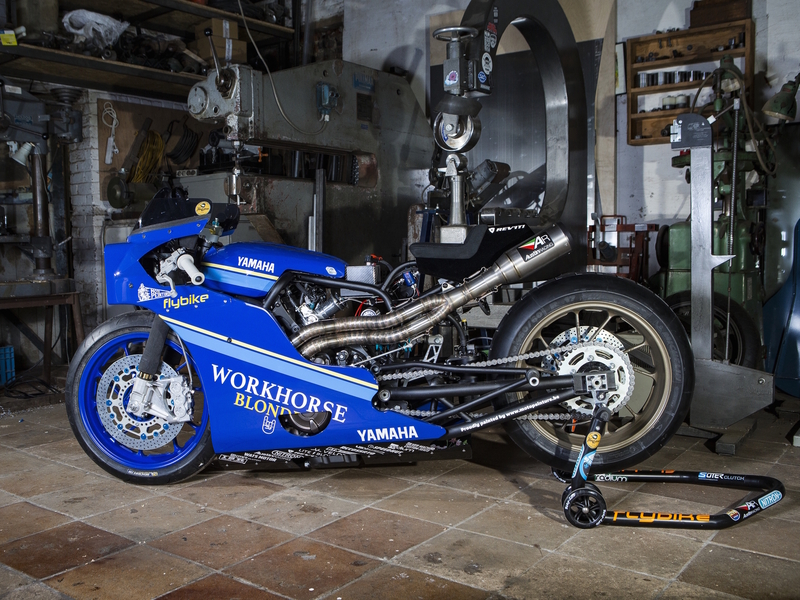 Brice Hennebert of the Workhorse Speed Shop is the chap tasked with bringing home the bacon and he’s worked within the regulations to create a long, low drag monster. 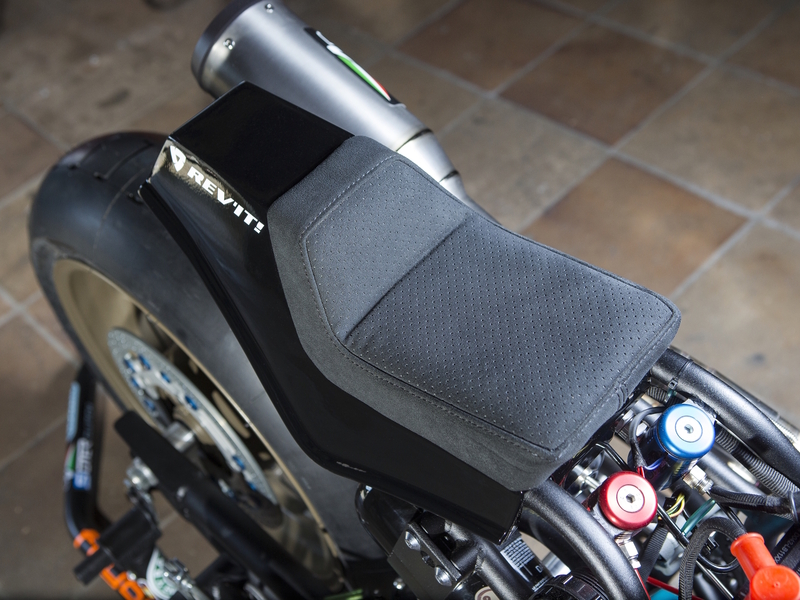 The bike features a fully handcrafted aluminium body and frame that has been dropped a 150mm, with the foot pegs shifted back for a laid down seating position. 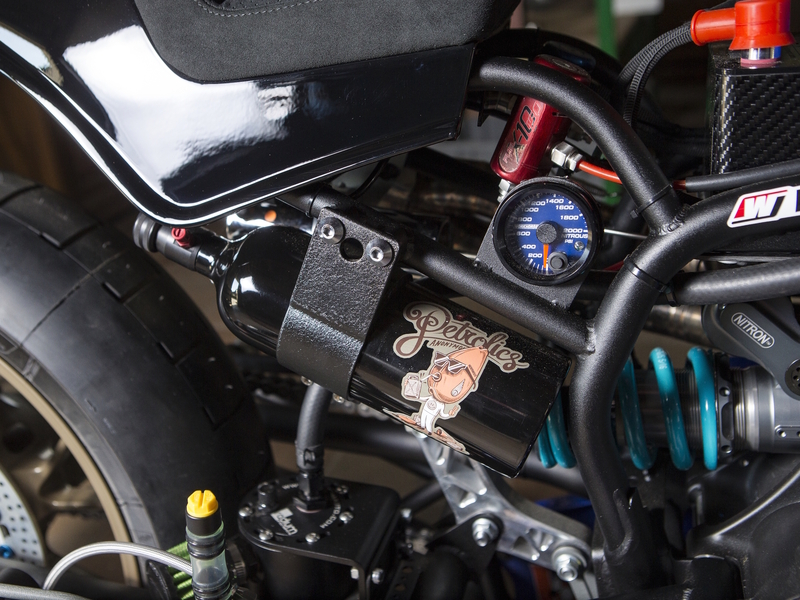 A custom-built Workhorse swing arm extends an extra 100mm and turns this beast into a low-down dragster. Despite the XSR700 engine being the smallest of all the bikes in the Factory Class, Brice claims the advantage lies in a low weight/massive torque figure, while the crankshaft has been balanced, the oil circuit modified and a Suter anti-hopping clutch added to ensure it flies off the line. Of course, this wouldn’t be a Sultans of Sprint entry if it didn’t feature some sort of NOS system and it doesn’t disappoint. Plus, there’s a full race brake system and a carbon covered battery to shave off further weight. The classic Yamaha yellow and blue paintjob was supplied by Matthias Van Brussel and provides a nod to the 1985 FZR 750 Bol d’Or Sonauto ridden by Christian Sarron. Sultans of Sprint events will run at Biker’s Classics in Belgium from June 29th to July 1st, Glemseck, Germany from August 29th to September 2nd and finally the Dandy Riders Festival in France from the 23rd to the 24th of September.